Sometimes, you want to knit or crochet something, but you don’t have a project in mind. Or, you’ve got a whole stash of wools that you’ve promised not to add to until you’ve used some up. How about putting your talents and supplies to good use by crafting for charity? 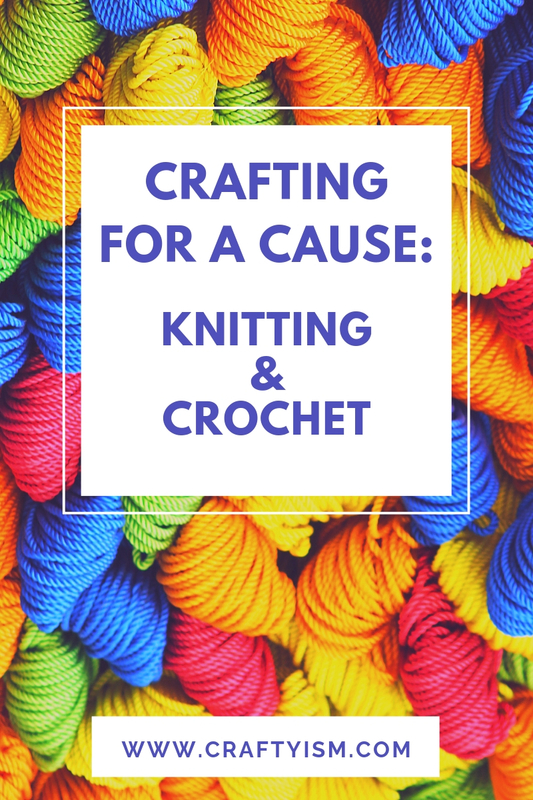 I’ve gathered up a list of charities that would love you to knit or crochet for them. There’s all sorts of projects, so indulge in your hobby and help someone else at the same time! Knit for Peace are currently looking for warm adult clothes, bed socks, scarves, adult hats and large sized blankets. They give your donations to refugee camps and U.K projects. They also organise knitting holidays around the world. Crochet an octopus for a premature baby. The idea is that the octopus’s tentacles feel like an umbilical cord. Find a local co-ordinator, patterns and more information in their Facebook group. Patterns and safety guidelines for the monsters are on the website. Woolly Hugs send special blankets to various different groups in need. They also run seasonal projects throughout the year where they ask for knitted and crochet donations. There’s loads of patterns and tips to get you started on the website. This website has a large forum that shows different charity projects looking for knitted, crocheted and sewn items. Loving Hands also vets each project to make sure your items really will get to the people who need them. Knit or crochet Woolley the donkey using the free pattern you can request on the website. The Donkey Sanctuary sells all the donkeys collected in the visitors’ centres to raise upkeep funds. Francis House is a children’s hospice in my local area. Knit or crochet a chick using the free patterns on their site. Send them in and they’ll fill them with a chocolate egg. The chick’s are sold to raise funds for the hospice! This one comes via my fellow #CraftBlogClub member The Crafty Therapist who is the Scottish lead for this project. Knit, crochet or felt a heart for a mum who has a baby on a NICU ward as a Mother’s day gift. There are so many charities that can put your knitting and crochet projects to good use. If you don’t fancy any of ones above, get in touch with a local charity and find out how you can help. Also, if you know of any projects I’ve not listed, please add them in the comments, or send me a message and I’ll add them to the list. Go get crafting for charity! My Mum and I have been making blankets for the local hospital, for the dementia ward.